Vendable » Blog Archive » Vendio Adds Even MORE eBay Templates! Vendio Adds Even MORE eBay Templates! Recently, we added over 70 new eBay templates to the Vendio Platform and just this week, we added over 30 additional holiday templates. 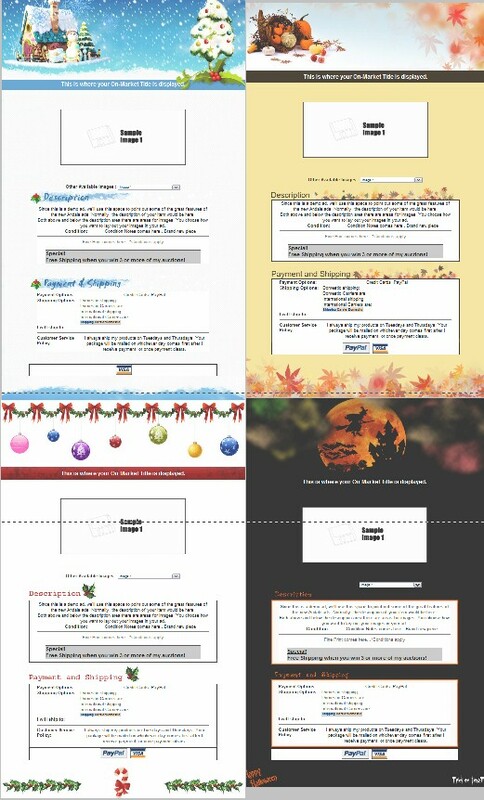 Found in this batch of templates, will be the fall holidays – Halloween, Thanksgiving, Hanukkah and Christmas. The holidays are approaching fast, so go ahead and take a few minutes and spruce up your eBay listings!! This entry was posted on Friday, October 16th, 2009 at 8:49 am	and is filed under eBay Marketplace. You can follow any responses to this entry through the RSS 2.0 feed. Both comments and pings are currently closed.